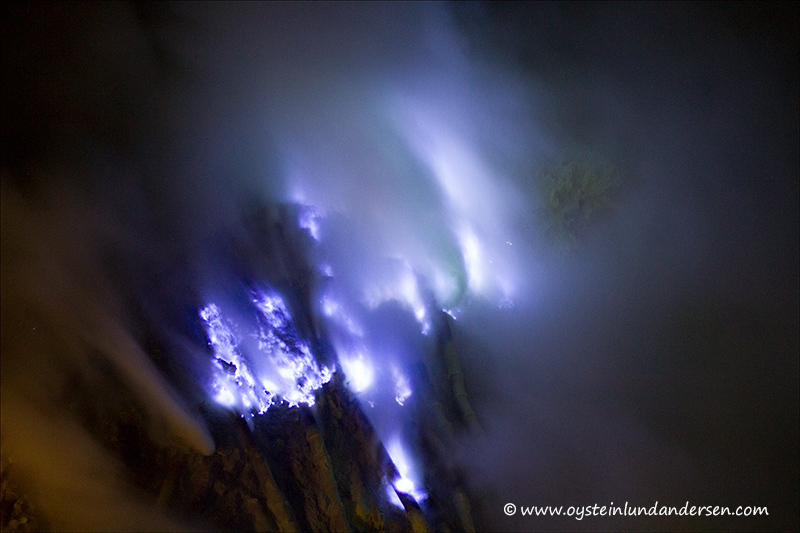 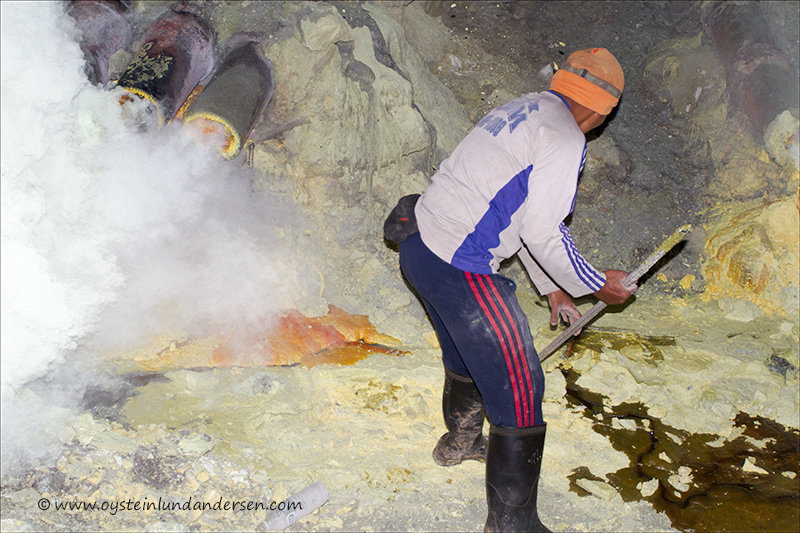 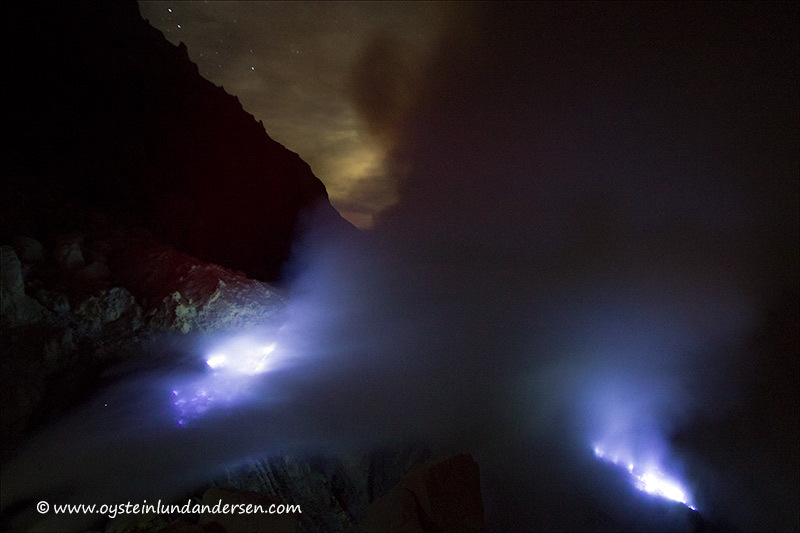 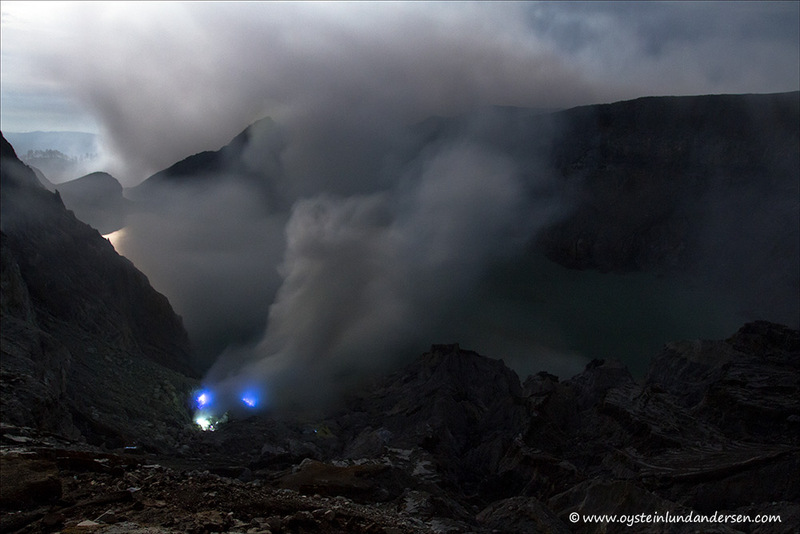 The Ijen volcano complex at the eastern end of Java consists of a group of small stratovolcanoes constructed within the large 20-km-wide Ijen (Kendeng) caldera. 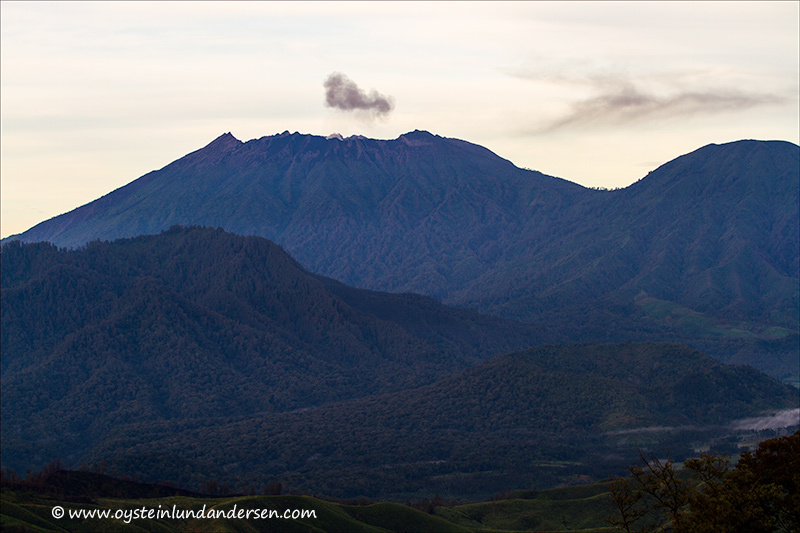 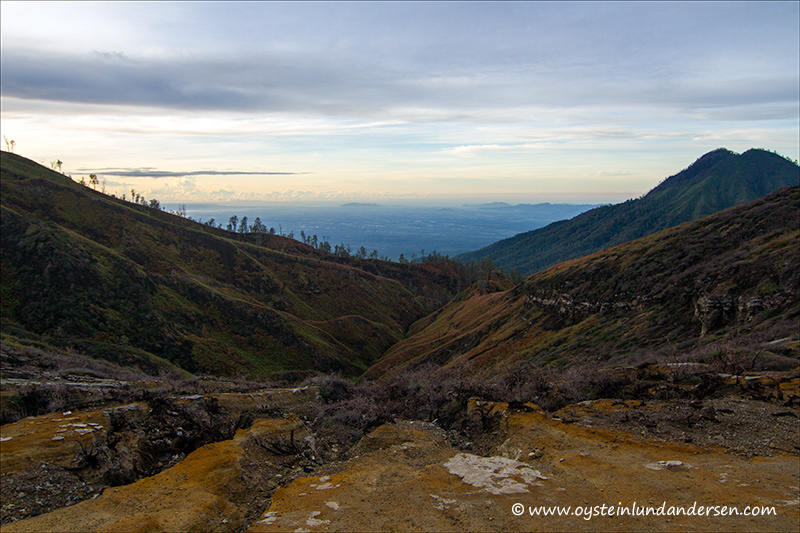 The north caldera wall forms a prominent arcuate ridge, but elsewhere the caldera rim is buried by post-caldera volcanoes, including Gunung Merapi stratovolcano, which forms the 2799 m high point of the Ijen complex. 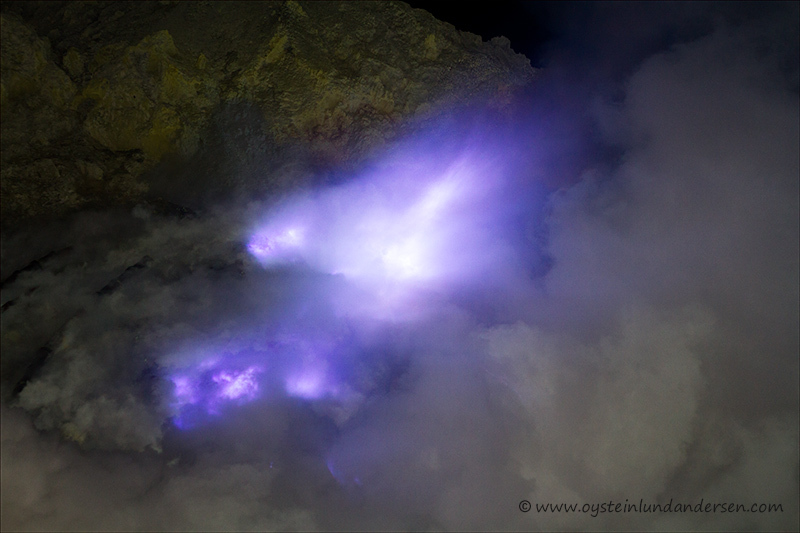 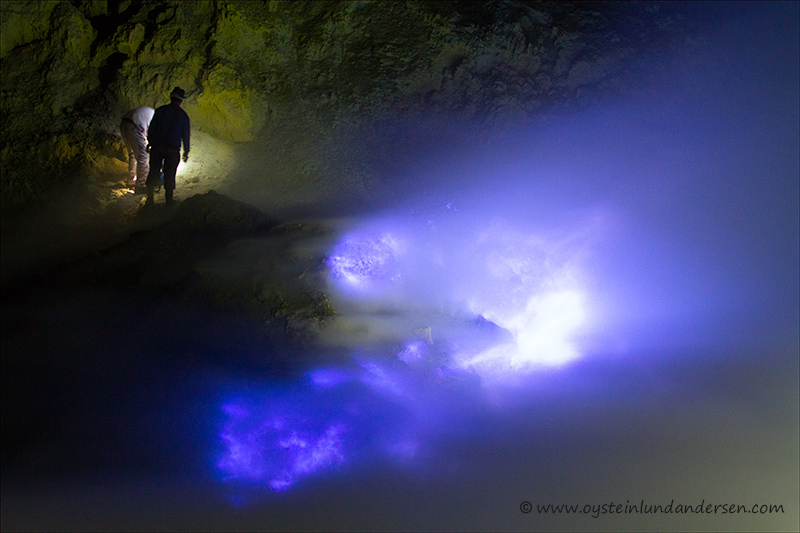 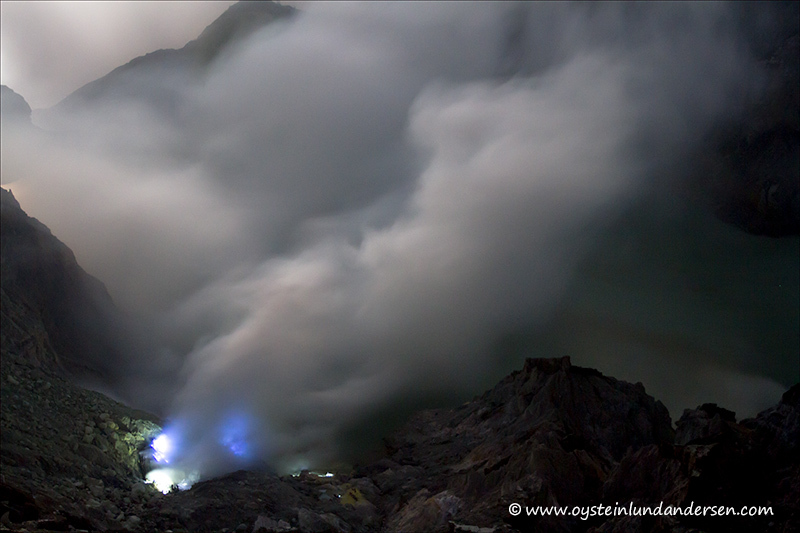 Immediately west of Gunung Merapi is the renowned historically active Kawah Ijen volcano, which contains a nearly 1-km-wide, turquoise-colored, acid crater lake. 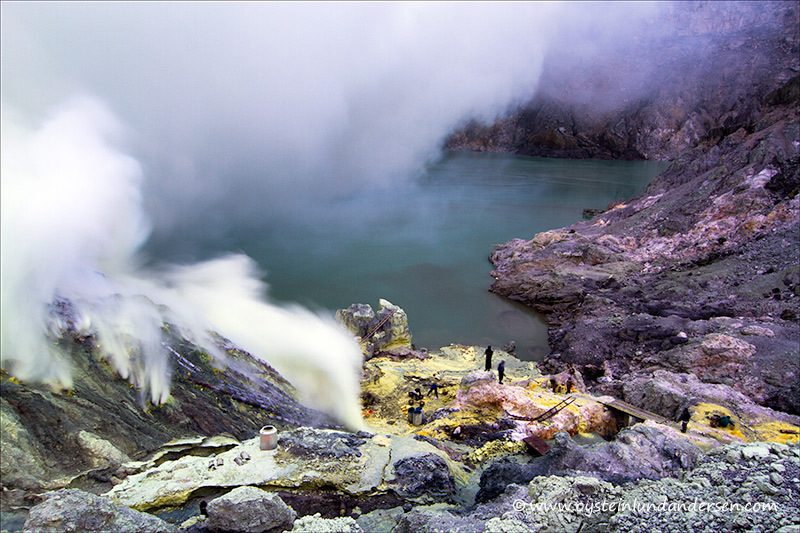 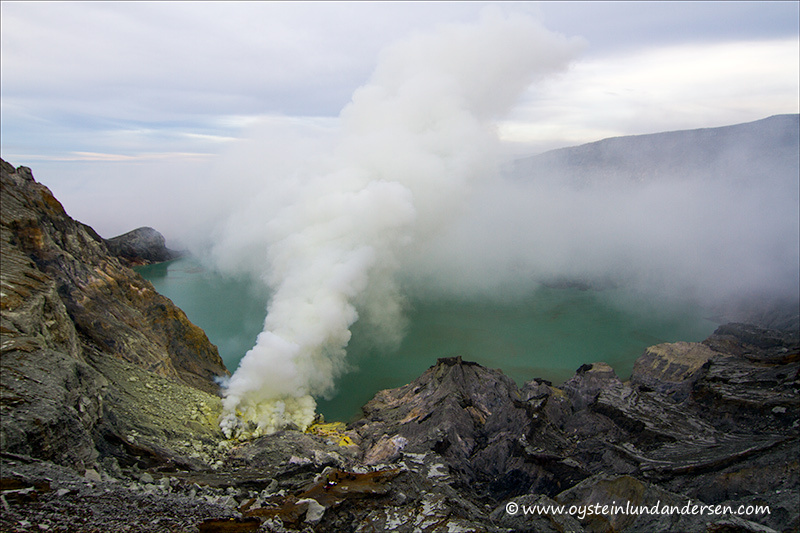 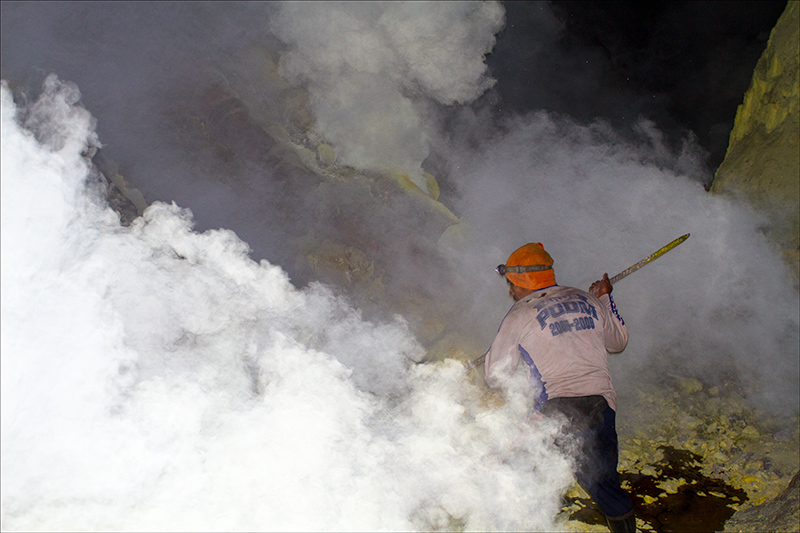 Picturesque Kawah Ijen is the world’s largest highly acidic lake and is the site of a labor-intensive sulfur mining operation in which sulfur-laden baskets are hand-carried from the crater floor. 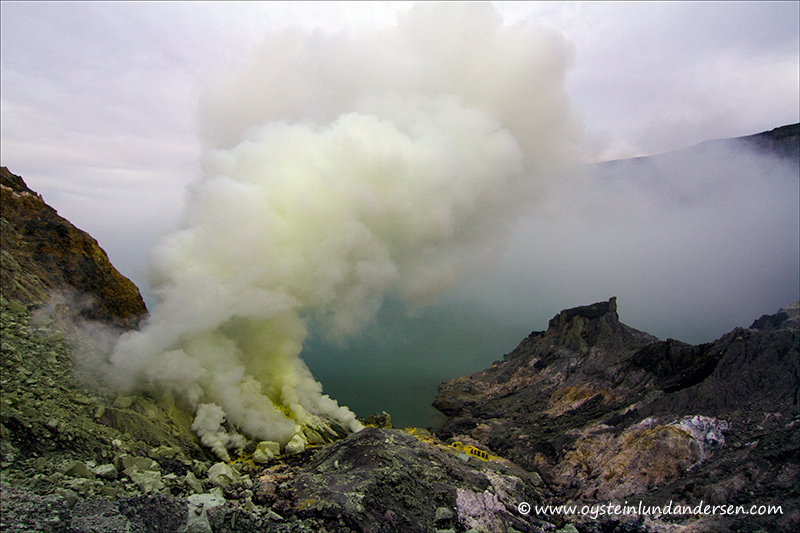 Crater and world’s largest highly acidic lake.